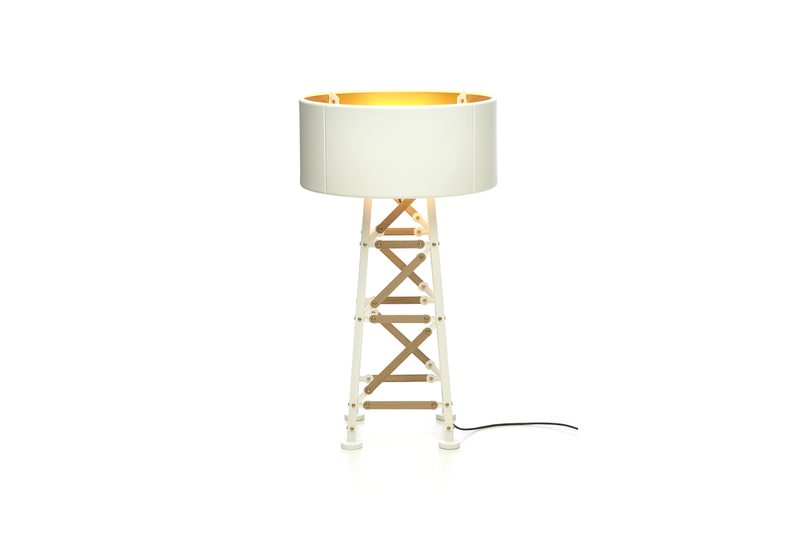 The Construction Lamps are inspired by metal factory constructions, electricity poles, and constructive elements. This collection, like other designs from Joost, originate from his inventiveness and curiosity combined with expert skills and industrial tools. Die cast powdercoated aluminium, wooden version with wood slats.